Mini Golf Course. Beach bathing pier. Volleyball court. 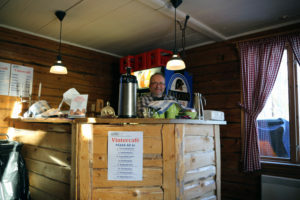 Summer cafe with outdoor seating opens after midsummer. Fishing license is sold. 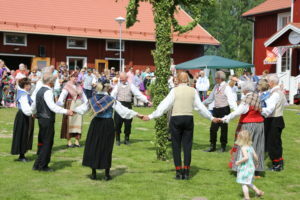 Traditional Midsummer Celebration. Christmas market in December. Winter cafe with stone-baked pizza, nine weekends from last weekend in January. Bakery House – Available to rent for baking. The house can be rented for smaller parties or meetings.